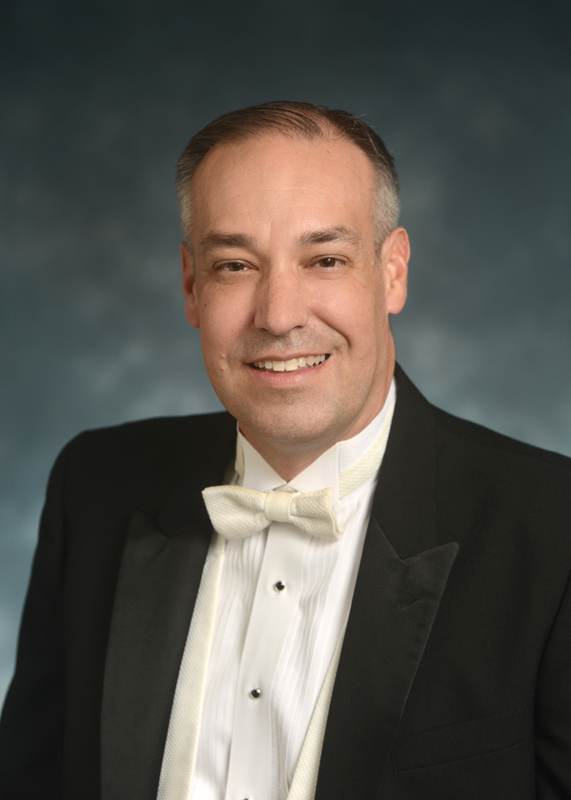 Dr. Timothy B. Rhea is Director of Bands and Music Activities at Texas A&M University. As Director of Bands, he serves as administrative head of the university band program (1000 students), serves as conductor of the University Wind Symphony, and is the director of the nationally famous “Fightin’ Texas Aggie Band.” As Director of Performing Ensembles, he additionally oversees the activities of the jazz ensemble, orchestra, and choral programs. Currently in his twenty-second year, he came to Texas A&M University in June of 1993 following a year of public school teaching in LaPorte, Texas – near Houston. Dr. Rhea was named conductor of the TAMU Wind Symphony in 1995. During his tenure at Texas A&M University, Dr. Rhea has conducted the Wind Symphony for conventions of the Texas Music Educators Association (five times), the College Band Directors National Association (two times), the Midwest International Band & Orchestra Clinic, the Western International Band Clinic, and the American Bandmasters Association (2009 convention host), as well as in settings such as New York’s Carnegie Hall, the Meyerson Symphony Center of Dallas and the Wortham Center of Houston, and on tours which have taken the band throughout the state of Texas. On their European tours (1999, 2001, 2004, 2007, 2013), Dr. Rhea has conducted the Wind Symphony during performances in Ireland, England, Austria, Germany, Italy, and the Czech Republic. Under his direction, the Wind Symphony has released several internationally popular compact discs, all with Mark Records in New York. Dr. Rhea’s tenure with the 420+ member Texas Aggie Band has included performances throughout the United States. In addition to both the Presidential Inaugural Parade in Washington DC and the Texas Governor’s Inaugural in Austin, bowl appearances with the Aggie Band have included the Holiday, Cotton, Sugar, Independence, and Alamo. Dr. Rhea maintains an internationally active schedule as conductor, clinician, and adjudicator. He has been extended invitations to membership in both the prestigious American Bandmasters Association and Phi Beta Mu. Currently on the Board of Directors of The John Philip Sousa Foundation & The American Bandmasters Association, and formerly on the Board of Directors of the National Band Association, Dr. Rhea additionally holds memberships in the Texas Music Educators Association; Texas Bandmasters Association; College Band Directors National Association; Big 12 Band Directors Association; World Association of Symphonic Bands & Wind Ensembles; American Society of Composers, Authors, & Publishers; Phi Mu Alpha; Phi Kappa Phi; Pi Kappa Lambda; Kappa Delta Pi; and is an honorary member of Kappa Kappa Psi.